The Mister Jones mysteries by Will Macmillan Jones – The Series so far. Each book is a stand alone and they need not be read in any order. The series begins with The Showing. Mister Jones is drawn, against his will, into the world of the paranormal for the first time – or is it the first time? His grandfather’s house holds a secret, and his nostalgic visit to the house with an estate agent has awoken the ancient evil dwelling there. 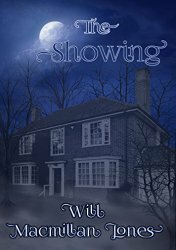 Estate agents are going missing, the police suspect Mister Jones knows much more about their disappearance than he cares to admit. What will happen first – his arrest, the slaughter of the victims, or victory over whatever is living in his grandfather’s house? One of the reviews for The Showing.